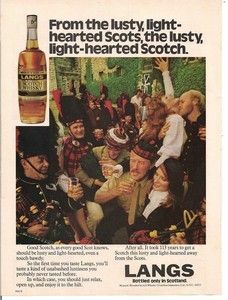 A bottle of Lang’s 5 Year Old Blended Scotch Whisky produced in the 1970s is a rare collectible. People who has actually drunk this, say it is amazing stuff. It is a blend with a high malt content. Glengoyne lies at the heart.